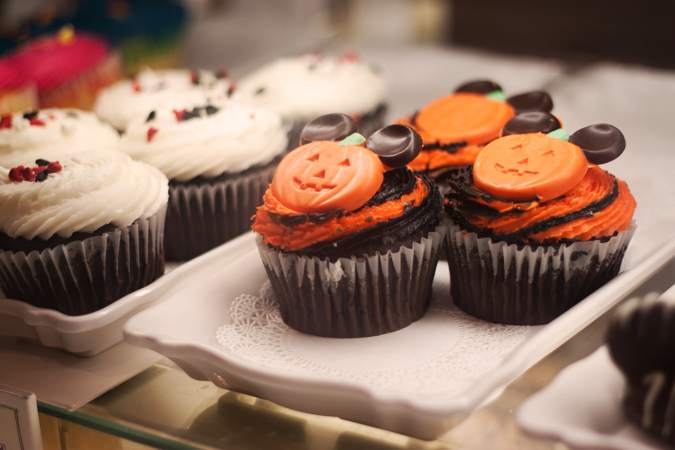 It's Fall at the Main Street Confectionery! Something I really love about going to Walt Disney World during the fall and winter seasons is visiting the Main Street Confectionery at Magic Kingdom. 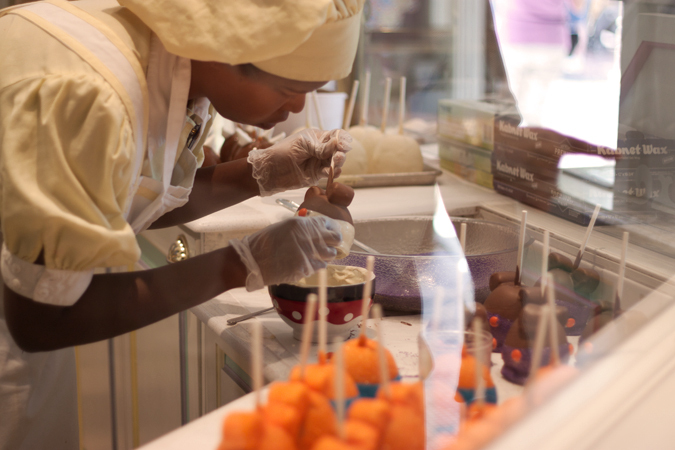 I love smelling the sweet aromas as I walk through the bright, pastel colored building over to the counter with all of the wonderfully designed disney treats in it! Since tomorrow is the beginning of October, Magic Kingdom is already ready for fall and Halloween! 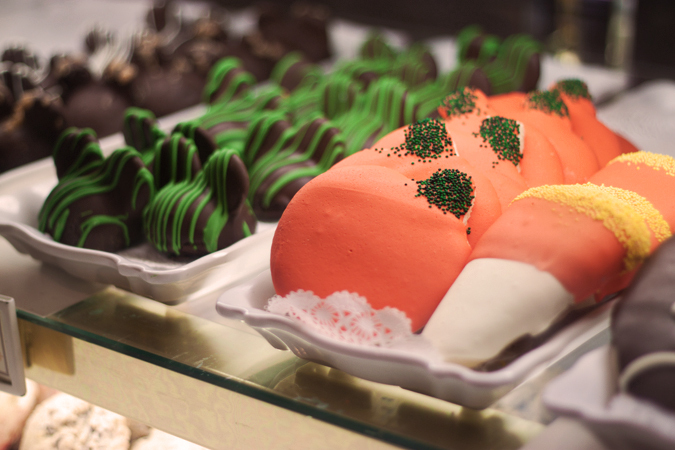 The park is beautifully decorated with pumpkins and lovely fall color schemes, and they are beginning to sell their yummy Halloween-themed treats at the Main Street Confectionery. When I visit, I love buying a nice treat from the Main Street Confectiionery, and when the holidays start approaching, there is always a nice diversity of treats each year! 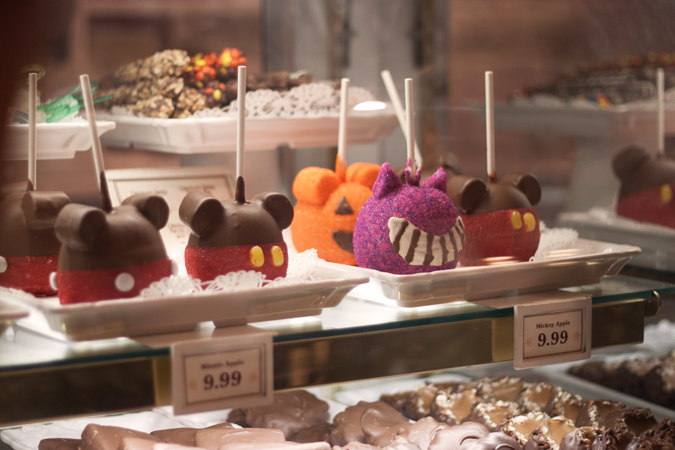 This year, they have adorable Chesire Cat and Mickey Jack-O-Lantern candy apples, Mickey pumpkin chocolate cupcakes, candy corn and pumpkin sugar cookies, mickey shaped orange colored, purple colored, and chocolate covered vanilla cake pops (yummy!) and lots of other wonderful things to try! 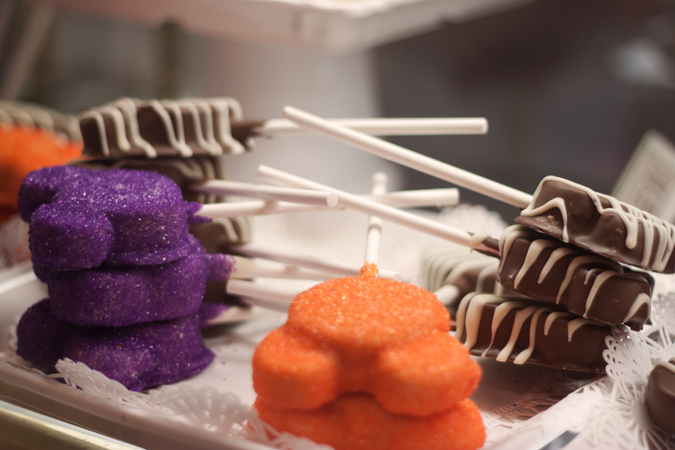 Also, what's neat about the Main Street Confectionery is watching the treats being made. It's interesting being able to see how they make everything look so pretty and yummy! Hope you enjoyed my post. It's not really related to fashion or style of course, but its nice seeing something different every once in a while, right? Maybe I'll start making more posts like this sometimes. Delish! I wish I could grab a cupcake trough the computer screen. Love the photos! The cupcakes looks so good!